Sick Individuals & Axwell – I AM (Dimitri Vegas & Like Mike vs Wolfpack & BoostedKids Remix) | zippytrack | Search for new music. 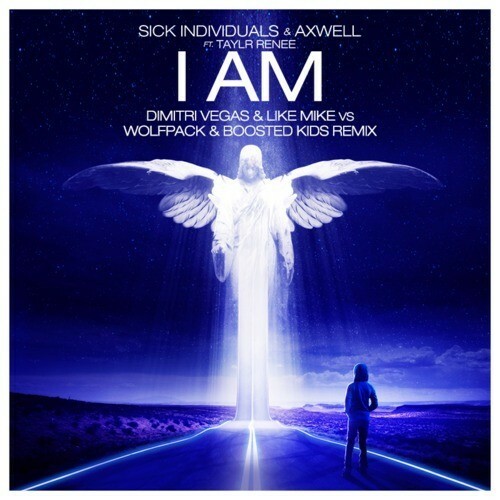 Premiered on their sold-out “Bringing Home The Madness” shows in Antwerp, Belgium, here is the newest remix of Axwell’s monster hit ‘I AM’ – courtesy of Dimitri Vegas & Like Mike, Wolfpack, and Boosted Kids. The plethora of producers leave Taylr Renee’s vocals intact alongside the original mix’s chords before replacing the melodic climax with a punchy electro drop. With three official remixes already previewed, “I Am” is set to receive one of 2014′s most unique remix packages when they all finally hit the open market.